What is it like to be at ground zero? Not only that.. but then read on to see/hear about the runaround he's getting from the VA.
"We were walking forward slowly with our M1 rifles, as if we were attacking a position,'' he recalled. "It was really dusty, but I didn't have trouble breathing or anything like that. We saw the tanks and howitzers all burnt up. There was a pillbox with dummies inside, all blown to hell. Everything was black, and even the tanks and big guns were melted. I couldn't believe it. I'd never seen anything like it in my life. As we got closer to where the bomb fell, we saw this huge, black crater." In 1996, Cohen was found to have hairy cell leukemia, which his doctor said was because of exposure to radiation. Cohen still has headaches, bouts of fatigue and trouble sleeping. He's losing hearing in one ear, he said, as a result of his cancer treatment. 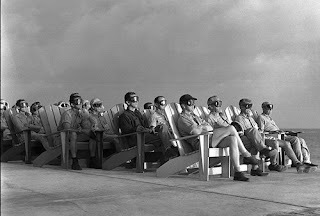 Through his membership in the National Association of Atomic Veterans, made up of participants in U.S. atomic and nuclear tests between 1945 and 1962, Cohen has learned that many of his comrades have had trouble convincing the Department of Veterans Affairs that their illnesses were caused by radiation exposure. A 2006 study by University of Illinois professor Melinda F. Podgor found that 90 percent of disability claims by atomic veterans have been denied by the VA.
Cohen filed a claim with the VA 10 years ago, and was found to be 30 percent disabled. He received monthly checks of $310 until 2003, when the VA informed him that, because his health had improved, he was no longer eligible for the disability pension. Cohen, who believes he should have received 100 percent disability, appealed in 2004 and has been waiting for his case to be heard ever since. "They're giving me the red-tape runaround,'' he said. "There are more than 200 pages in my claim folder. That's absurd. I'm only one person. 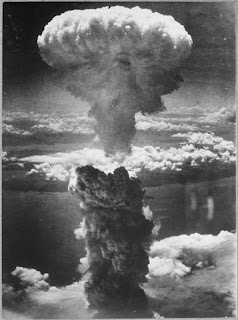 It's our government's obligation to take care of any medical problems we have because of atomic tests. I want people to know about what happened to atomic veterans, and all the problems we're having with the VA."
Calls to Veterans Affairs were not returned. Cohen said Reps. Nita Lowey, D-Harrison, and John Hall, D-Dover Plains, have been helping him battle the VA, as has Sen. Charles Schumer, D-NY. Schumer's office called last week to let Cohen know that his VA appeal was finally going to be heard by a judge. "Mr. Cohen deserves to have his case heard again, and I am glad that we could help in moving this forward," Schumer said in a statement. "Mr. Cohen was a dedicated soldier who served our country with honor, and I will continue to help him in any way I can."